GRT, known for helping to revolutionize modern infrastructure through their innovative dust control and soil stabilization products and methods, also has a civil construction arm. GRT Civil and Infrastructure has a unique and incredibly diverse portfolio of construction projects they have participated in across the globe, for an incredibly diverse collection of industries and organizations. You can easily find construction projects ranging from Australia, to India, to Indonesia, Brazil and beyond successfully using GRT soil stabilization and dust control products, in the most extreme of environments. Energy companies, oil and gas exploration companies, the mining industry, telecommunications infrastructure companies, and governments worldwide all take advantage of GRT’s expertise in constructing high quality infrastructure at a fraction of the time and cost of traditional road building methods require. No matter how challenging, large, or involved your project may be, GRT Civil and Infrastructure has the team of professionals necessary to make your vision a reality. They possess an unmatched combination of knowledge, technical skill, experience, and customer commitment that makes every project they work on a success. Along with their popular soil stabilization and dust control products, you will find GRT Civil and Infrastructure working on projects in both the public and private sectors. Governments and military organizations work with GRT to build reliable infrastructure in extreme environments, and to develop disaster management and response plans. They also work with military organizations to assist with rapid force deployment and other logistical concerns. 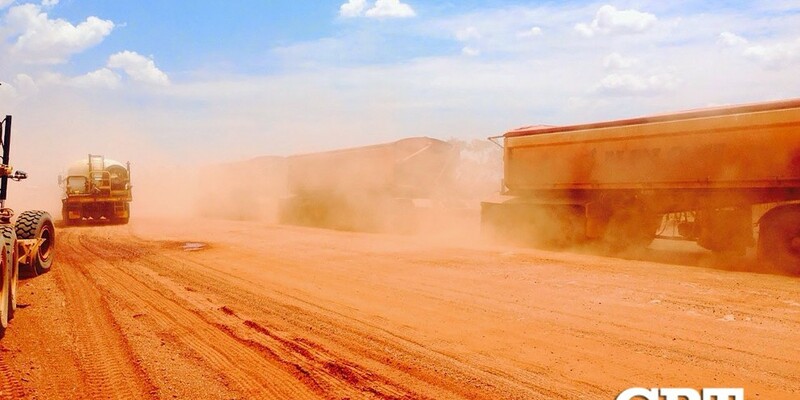 Across dozens of different projects, environments, and even countries, GRT soil stabilization and dust control products are helping organizations worldwide create reliable, low-cost infrastructure in some of the most remote and inhospitable environments on Earth. Contact them today if you are in need of any civil construction related services; GRT Civil and Infrastructure prides themselves on helping all of their clients successfully design and execute their construction projects at both the highest level of quality as well as a reasonable cost.